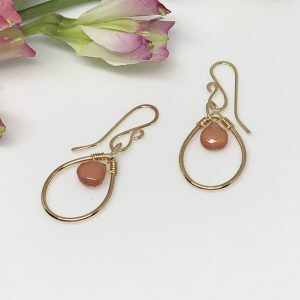 Gold dewdrop dangle earrings. 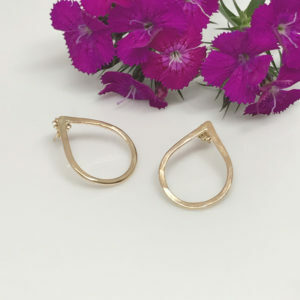 Teardrop shaped earrings that are very simple and just lovely. 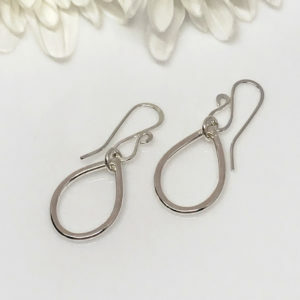 The dewdrops are hand crafted and soldered, then highly polished. Sizes may vary a bit but they’re roughly .75 inches in height and .5 inches wide. You’ll be able to dress up the most casual of outfits as well as totally compliment that favorite LBD of yours. 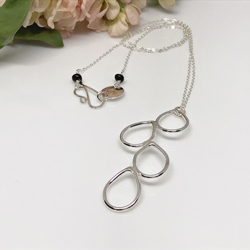 Both dangle and post designs are available in Argentium silver and gold filled materials. For a simple, everyday look, wear alone. 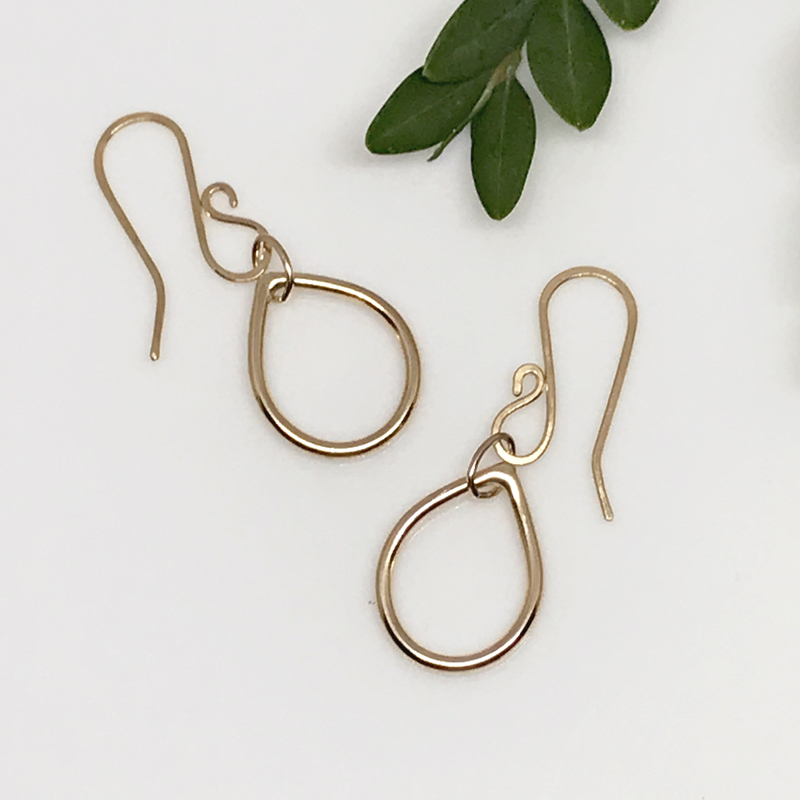 If you want to make more of an impact, pair them beautifully with any of the other pieces in this collection.